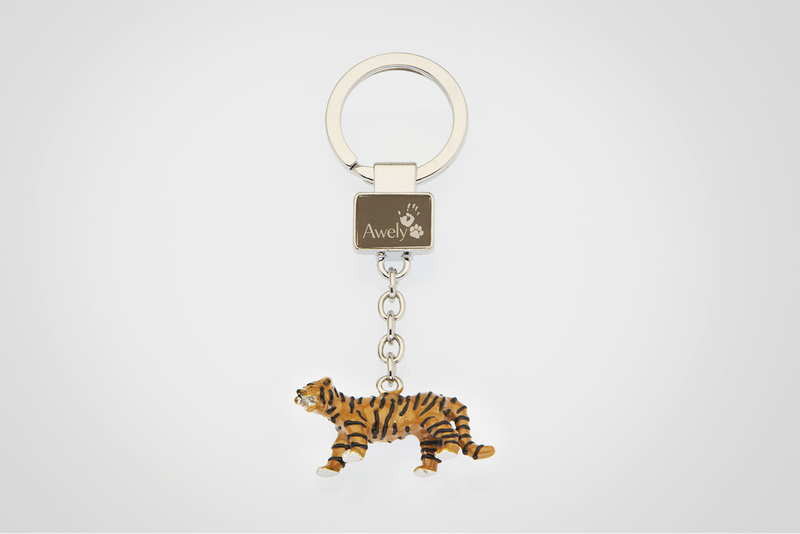 One of a collection of Awely keyrings — the tiger. This lord of the forest will accompany you everywhere and symbolise your contribution to supporting this emblematic animal with Awely. Hand-painted. Size: 2 x 4 cm.